The email processing system is a modern-day version of your work from home stuffing envelopes job opportunity that started back in the 20’s. People got tricked into believing this is a job opportunity where you got paid $25 for each email processed. Email processing system markets itself as a passive income job opportunity where people can potential to earn $273,750 a year just processing emails. The company promises to provide all the training materials, so people can become successful. This is how email processing gets people to join the program. Thinking they are getting a good paying online job. Let me disclose this secret to you, email processing is not a job opportunity. Rather, it is a direct sales business opportunity that allows you to earn 100% commissions. I’ll explain this later in this Email Processing System Review. If you are thinking of paying the $25 get you a bunch of emails to process and make money online, then you will be very disappointed. Email processing has nothing to do with processing emails. This is an online chain recruiting business scheme where you earn $25 for each person that you recruited. If you cannot recruit, you have no email to process. You earn nothing. This is why the Better Business Bureau and the Federal Trade Commission has issued warnings on this work from home job opportunity. See the email processing scam section below. When a company charges you money for a job, you should ask why? The last time I got a job was for free! I have been making money online for more than 20 years, here my profile. I don’t believe in paying to get a job. If you want a job, it should be free. I even start my online business with 10 Free Training Lessons. Want to know how much I make? 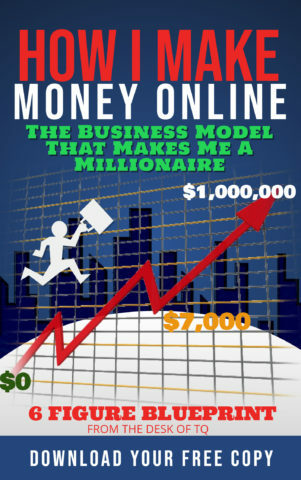 Grab a copy of my ‘Guide To Make Money Online‘ to find out for yourself. How Does Email Processing system work? The Cost to Join This Email Processing System? The Business Review of Email Processing System. Can You Make Money with Email Processing System? Is Email Processing the Same as Affiliate Marketing? You should be skeptical about job opportunities like the email processing system. It is unrealistic to earn a senior executive income, $273,750 a year, doing simple work like email processing. It doesn’t exist. Every day, hundreds of online job opportunities are offered on the internet. Most of them are legit job offers from companies looking for employees. You also have job opportunities like the email processing system promising the moon and star but delivers hell. It is not easy to know what is real and what is fake. One thing determines a job opportunity legit is “Free.” You should not have to pay to get a job. If a job requires payment, you should at least want to know what the fee is for? Don’t you want to know why the email processing system charges a $25? If you do, then this email processing system review is written for you. My online review reports provide helpful information to allow people identifying online scams. I hope this review provides you with factual information about the email processing system. After paying the $25 to join the Email Processing system, you are not going to receive a list of emails to process for companies. What you receive is a set of welcome instructional packages on how to begin your email processing job. 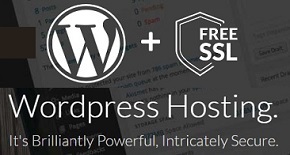 You are directed to a web hosting service to purchase a hosting package with a domain name and WordPress website. You can design the website yourself by cutting and pasting the same job opportunity information that lures you into the program. Those don’t have web designed experience and want the company to set up the website for you, then you will have to pay an additional fee. If you don’t want to pay them for these services, it is the end of your email processing job. You are fired. Step #2 – Adding a payment system to collect $25. Remember that Pay Now Button that you clicked to join the system? You have to add this button to your website so new recruits can send you the payment. Most email processing systems accept all type of online payment methods like Papal, Payza, and more. Step #3 – Getting email by posting ads online. This step is when people should ask the question, what posting ads have to do with email processing? The answer will help people realized they have been scammed. Posting ads online and on social media platforms is the way to recruit people into your email processing system. The welcome email instructional packages will provide extensive predesigned ads, email swipe files, and tutorials on how to post and where to post these ads to get the most clicks. Your job is to post these ads all over the internet and hoping someone will click and sign up for the email processing job. You receive $25 or 100% commission when a new member signed up and paid the fee. Step #4 – Sending out the welcome package. Once you have received the payment, your job is to send out the same training materials that you received when you joined the program to the recruit. This final step is email processing. You can make good money if you have a lot of recruits to send out the final email. It is not that easy to get people to join email processing work today. The conversation rate is very low. What email processing system hides from you is the fact that this job is not an email processing job. This job is about posting ads on Facebook, YouTube, Instagram, and Forums to recruit people into the system. Recruiting new people is how you make money. Most people sign up thinking of paying $25 to work for a thousand dollar job. But when they received the welcome instructional packages, they realize that this is not the truth. For this email processing system to work, you will have to pay for the setup of your own system which includes a web hosting package and website design which can cost between $20 to $300 a year. You will also have to pay for online advertisements which can run into thousands of dollars. These additional expenses are the most common customer complaints against the email processing system. This is so obvious because you are advertising this as a job, not a business. People expect to earn money, not spending money. People have asked me how can they get a refund for the payment to email processing system? If you are using the credit card, PayPal or any of the online payment processing systems, you can file a complaint directly with the payment processing company. They will reverse the transaction. I know PayPal will do it. As stated above, the email processing system is an online business opportunity, not a job. If you are going to sign up for this program, do understand that you have to work hard to make money. It’s not simply processing email. There are always risks involved with every business opportunity which you must understand before investing time and money. Is Email Processing A Scam? To me, this is a scam. But to another, this is a great business opportunity. I will provide you the facts, and you can decide this for yourself. This system purposely misleads people into believing they are getting a good paying job, but the fact it is not. It sales a dream or an idea, not a real product. It is a chain recruiting system where the recruit pays directly to the sponsor with nothing in return. The program does not disclose the true costs of building a working email processing system. It costs more than $25. The real job is posting ads online, social media platforms, and forums to recruit people, not email processing. You can easily get banned from Craigslist, Facebook, and online forums for spamming if you post the same ads every day. Once you get banned from these platforms, you will have limited options to promote your email processing business. You might have run into people claiming that the BBB and FTC warning about this email processing system, but it is not the truth. No warning today does not mean that these agencies do not issue one in the future. As more and more people’s complaints, this might trigger them to act. Many people compare this to work at home stuffing envelopes. The FTC does issues warning against this type of job opportunity. The reality is email processing looks like stuffing envelopes opportunities, but the FTC currently does not seem to agree with this argument. Those are a few of the business red flags that I don’t like about this business. But this is just my opinion. Yes, you can make money with the email processing system, but it will not be $273,750. According to the company, if you post 3 ads per day, you will have the opportunity to make up to $300. This statement is very misleading. Posting ads online alone does not guarantee commission. People have to join the program and pay $25 for you to make money. I am sure you can make money, but not the income level promoted by the email processing system. NO, in my opinion, this is not the same as affiliate marketing. With affiliate marketing, you are promoting real products or services that add value or improve the customer’s life. With the email processing system, you offer nothing to the recruits except a dream or an idea. Affiliate marketing is a real business. It does not involve lying or tricking people into buying something that is not real. I am an affiliate marketer for over 20 years, here’s my story. What I do is writing reviews and reports on business products and services. I take pride in my works because I report the facts to help my readers making informed purchasing decisions. Training for affiliate marketing is more extensive than posting pre-written ads online like email processing training. Unlike the email processing system, you can start your affiliate marketing business with a free training program. This is how I start my online business. The affiliate training program that I have used to build a successful online business is the Wealthy Affiliate University. FREE membership account: There is no payment required and no expiration. People use this free account to try affiliate marketing before making an investment, “Try before you buy”. Click here to try affiliate marketing for free. FREE Training Lessons: All beginners receive 10 free training lessons. It is a great way to learn basic affiliate marketing and build your foundation. Click for 10 lessons now. FREE tools to launch your business: Wealthy Affiliate gives members 2 free websites and free keyword research tool to start their online business for free. 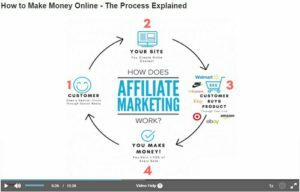 You can use these tools to practice and build your affiliate marketing business without investment. Click here to check out the tools. Finally, I use this program to build a $6K per month online business. Here the story. What do you think of the email processing system? Join or not? Leave me a message.